So much is easily accessible on the internet now, there’s no need to pack students’ heads with information; what’s important is that we teach students how to learn on their own. Bill Wood has been a pioneer in the reform of science teaching. Along with his many scientific accomplishments, Wood’s leadership has been crucial in several national initiatives and programs, including the development of the influential National Academies Summer institutes on Undergraduate Education in Biology. He has also catalyzed change in education through his service as Editor-in-Chief of CBE-Life Sciences Education, a peer-reviewed journal published by the American Society for Cell Biology, in editorial partnership with the GSA. 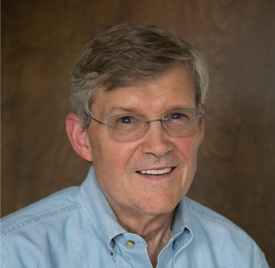 Bill Wood is this year’s recipient of the GSA’s Elizabeth W. Jones Award for Excellence in Education, which recognizes significant and sustained impact on genetics education. In honor of the award, this month’s issue of GENETICS features an interview with Wood on how much teaching has changed in the past decades and what challenges educators still face. Read more at the GENETICS website! Wood, W. B. (2016). Learning and Doing: An Interview with Bill Wood. GENETICS, 203(2), 631-633.